From an ethical point of view, deception ranges from relatively minor omissions concerning the truth to outright falsehood. 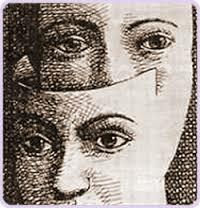 A majority of people use social and physiological excuses as forms of deception especially in the workplace. There are certain circumstances that I believe are justified for the user of deception. However, despite the justification, based on the ethical code of conduct, deception is an uncouth form of winning a negotiation somewhat. Fairness in a negotiation occurs if the parties involved have prior knowledge of all the circumstances surrounding the case at hand. Failure to this, one of the parties is using deception at the expense of the other. When the truth finally comes out, the other party feels cheated and used. Therefore, to ensure that the vice of hatred does not crop, it is essential to outline all the facts, truths and opinions surrounding a subject before indulging in negotiation in the workplace. In most cases, the workplace is treated as a family. As a result, the application of deception during negotiation is a form of lying and cheating one of the family members. However, there are certain circumstances where an ethical deception is justified. For example, in instances where an individual is required to give an account of their whereabouts during after office hours. During such times, ethical deception is justified since privacy and confidentiality of a person are paramount to the need to know. Another example of a workplace moral deception that is warranted is claiming increased family responsibilities in an attempt of getting a pay raise. In particular circumstances, the management is not willing to provide additional benefits to employees without significant responsibilities. On discovering that the negotiating party is using unethical approaches based on deception, I would revise the negotiation by asking for proof. Evidence provides grounds for clarity, openness and fairness. The result is an open means of ensuring ethical negotiations in the workplace.